Ships today if you order in the next 11 hours 5 minutes. Yes, you read that correctly. This dietary supplement contains enzymes derived from a specific species of earthworm. Lumbrokinase - or LK - seems to support normal blood coagulation. Blood clots in your body could lead to serious health complications. That includes heart attacks, strokes and obstructed circulation. 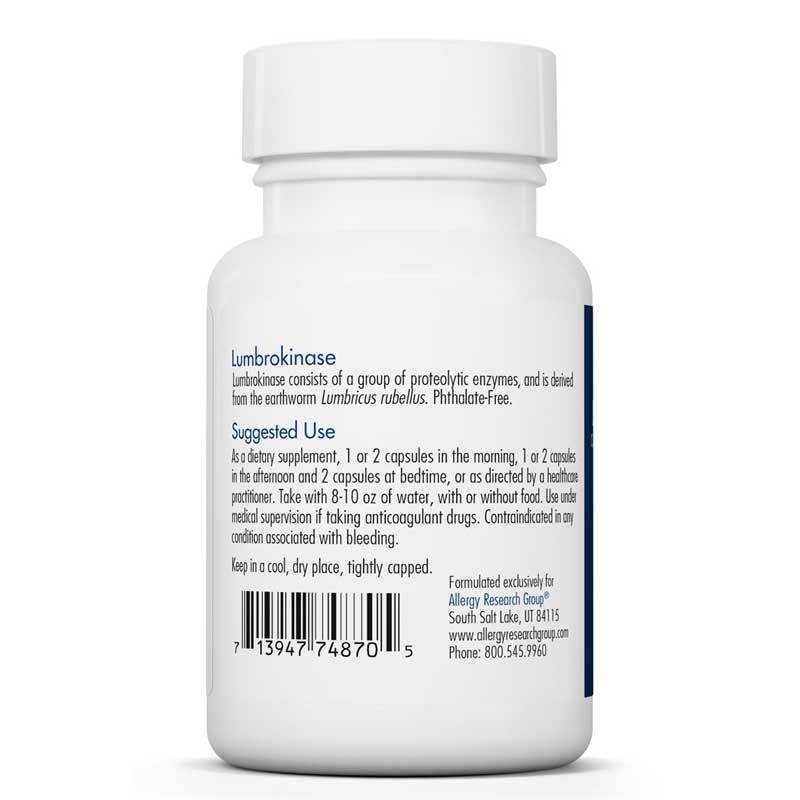 Allergy Research Group offers its Lumbrokinase as an isolated and purified enzyme supplement extracted from Lumbricus rubellus. LK is already widely used in Asia and Europe. The contents of this supplement are of the highest quality and purity, and contain no preservatives, diluents, or artificial additives. 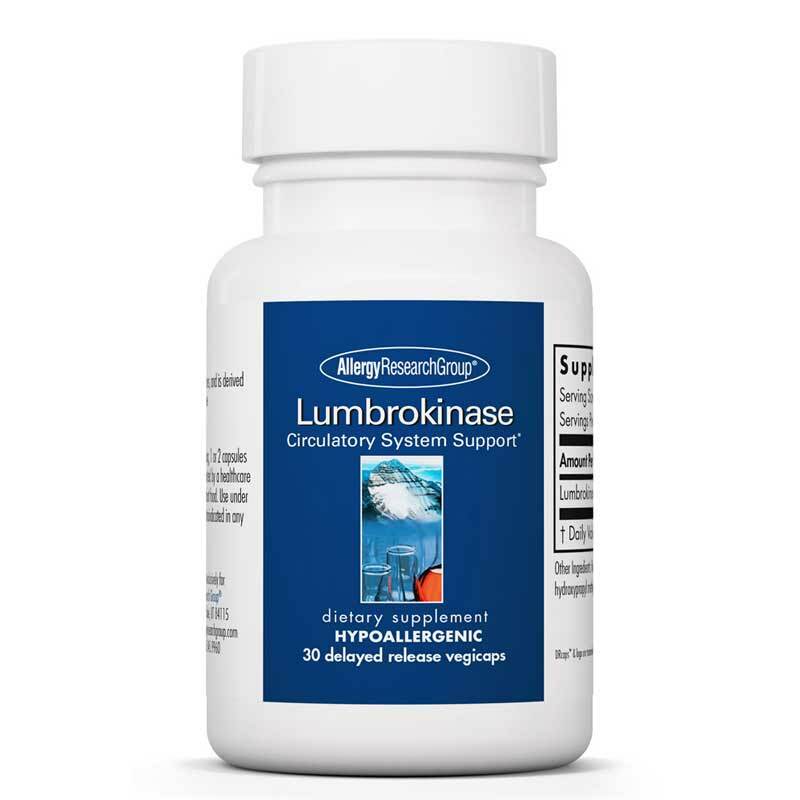 Order Lumbrokinase from Allergy Research today to avoid potentially dangerous blood clots. Other Ingredients: rice dextrin, medium chain triglycerides, hydroxypropyl methylcellulose, water, gellan gum. Hypoallergenic. Phthalate-Free. 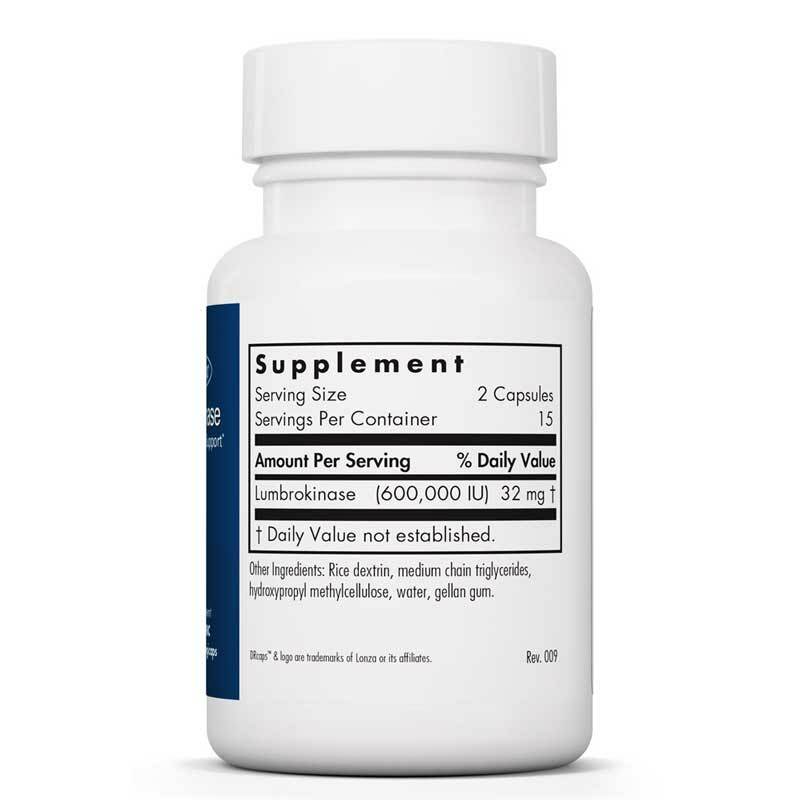 Adults: As a dietary supplement, 1 or 2 capsules in the morning, 1 or 2 capsule in the afternoon and 2 capsules at bedtime, or as directed by a healthcare practitioner. Take with 8 to 10 oz of water, with or without food. Use under medical supervision if taking anticoagulant drugs. Contraindicated in any conditions associated with bleeding. Keep out of the reach of children.